The compact Farmall C CVT series tractors are designed for comfortable, easy operation. Combining a deluxe operator environment with a smooth-shifting CVT transmission. Horsepower Range 45-53 (PTO 36-43). 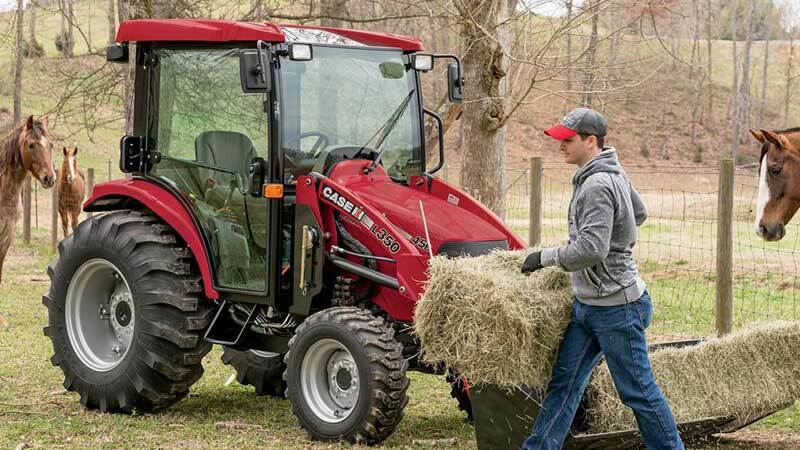 These tractors are designed for comfortable, easy operation. The open deck and step-through platform offer plenty of floor space. The adjustable, contoured seat and infinitely tilting and telescoping steering wheel on deluxe models let you find your own fit.